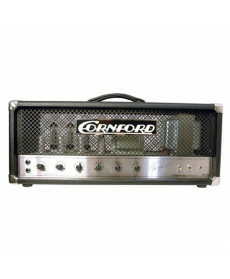 Cabeça Guitarra Eléctrica Cornford RK100H. Material: Contraplacado Birch de 19mm. Efeitos: Fx loop; Equalizador (Bass, Middle, Treble). Electrónica: Pre amp: 4 x ECC83 / 12AX7; Power amp: 4 x EL34. Potência máxima: 100W. Modelo de Assinatura de 1591. Cabeça Guitarra Elétrica DV Mark DV Little GH 250 Greg Howe. Material: Contraplacado Birch de 19mm. Efeitos: Fx loop; Equalizador (Bass, Middle, Treble). Electrónica: Pre amp: 4 x ECC83 / 12AX7; Power amp: 4 x EL34. Potência máxima: 100W. Modelo de Assinatura de 1591. 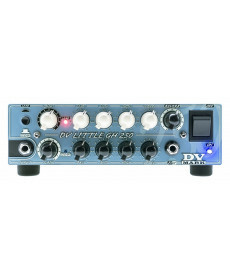 DV Mark top-artist and guitar hero Greg Howe has strictly partnered with Marco De Virgiliis and DV Mark team to tune the DV LITTLE GH 250 to suit amazing clean and creamy distortion tones from its two channels with effective separate controls. 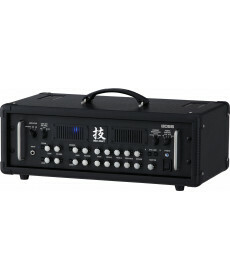 Cabeça Guitarra Eléctrica Hughes Kettner TubeMeister Deluxe 40. Material: Contraplacado Birch de 19mm. Efeitos: Fx loop; Equalizador (Bass, Middle, Treble). Electrónica: Pre amp: 4 x ECC83 / 12AX7; Power amp: 4 x EL34. Potência máxima: 100W. Modelo de Assinatura de 1591. Where TubeMeister is stunning, TubeMeister Deluxe is simply jaw dropping. Deluxe tones take you from pure, pristine cleans to an authentic brown sound and devastatingly powerful modern-day high gain, all influenced by the most beloved channels of our flagship TriAmp Mark 3. 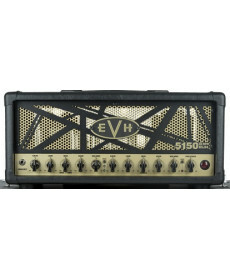 Cabeça Guitarra Elétrica EVH 5150III 50W EL34. Material: Contraplacado Birch de 19mm. Efeitos: Fx loop; Equalizador (Bass, Middle, Treble). Electrónica: Pre amp: 4 x ECC83 / 12AX7; Power amp: 4 x EL34. Potência máxima: 100W. Modelo de Assinatura de 1153. Cor: Black and Gold Motif. 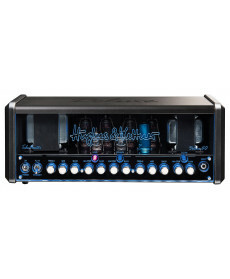 Independent volume and gain control for all three channels has arrived with the 5150III® 50W EL34 head. 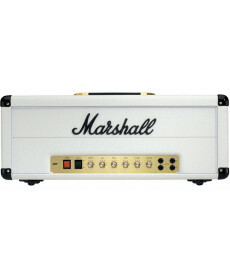 Cabeça Guitarra Eléctrica Marshall JVM205H. Material: Contraplacado Birch de 19mm. Efeitos: Reverb. Electrónica: Pre amp: 4x ECC83; Power Amp: 1x ECC83, 2x EL34; 2 Canais; Volume independente em cada canal; Fx loop. Potência máxima: 50W. MIDI: 1x Entrada MIDI; 1x Saída MIDI. Modelo de Assinatura de 1153. Cor: Black and Gold Motif. 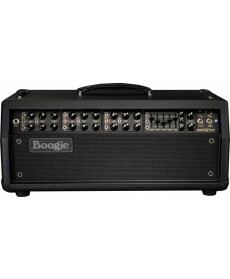 Cabeça Guitarra Eléctrica Mesa Boogie Mark V Head. Material: Contraplacado Birch de 19mm. Efeitos: 3 Canais; Equalizador (Treble, Middle, Bass); Equalizador Gráfico. Electrónica: Power amp: 4x 6L6. Potência máxima: 90W. MIDI: 1x Entrada MIDI; 1x Saída MIDI. Modelo de Assinatura de 1153. Cor: Black and Gold Motif. 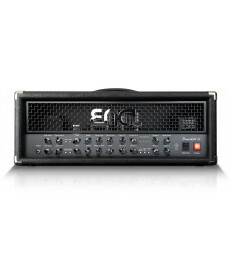 Cabeça Guitarra Eléctrica Engl Gigmaster 15 Head E-315. Material: Contraplacado Birch de 19mm. 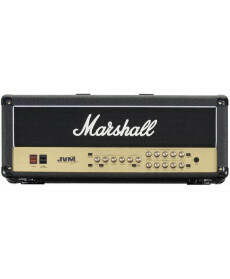 Efeitos: 2 Canais (Lead, Clean); Equalizador (Treble, Middle, Bass); Drive; Mid boost. Electrónica: Válvulas: 2x EL84 ECC83S. Controladores: Standby; Mid boost; Channel; Power soak (full, 5, 1, 0). Potência máxima: 15W. MIDI: 1x Entrada MIDI; 1x Saída MIDI. Modelo de Assinatura de 1153. Cor: Black and Gold Motif. 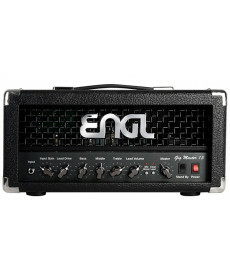 Cabeça Guitarra Eléctrica Engl Powerball II E-645/2. Material: Contraplacado Birch de 19mm. Efeitos: Depth punch; 4 Canais; Equalizador (Bass, Middle, Treble-Clean, Treble-Crunch, Middle-boosted, Treble). Electrónica: Pre amp: ECC83 (12AX7); Power amp: 4 x 6L6GC. Controladores: Standby; Noise gate; Dry effect; Bright; Bottom; Lead (3) Bottom; Lead (4) Bottom; Middle boosted; Channel Up/Down; Channe 1/2, 3/4; Presence. Potência máxima: 100W. MIDI: 1x Entrada MIDI; 1x Saída MIDI. Modelo de Assinatura de 1153. Cor: Black and Gold Motif.